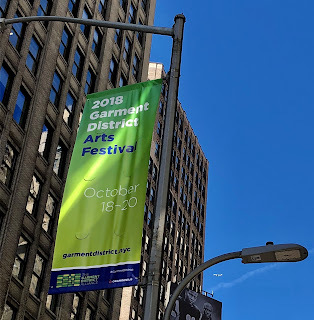 Excited to be a part of the 2018 Garment District Arts Festival in NYC. 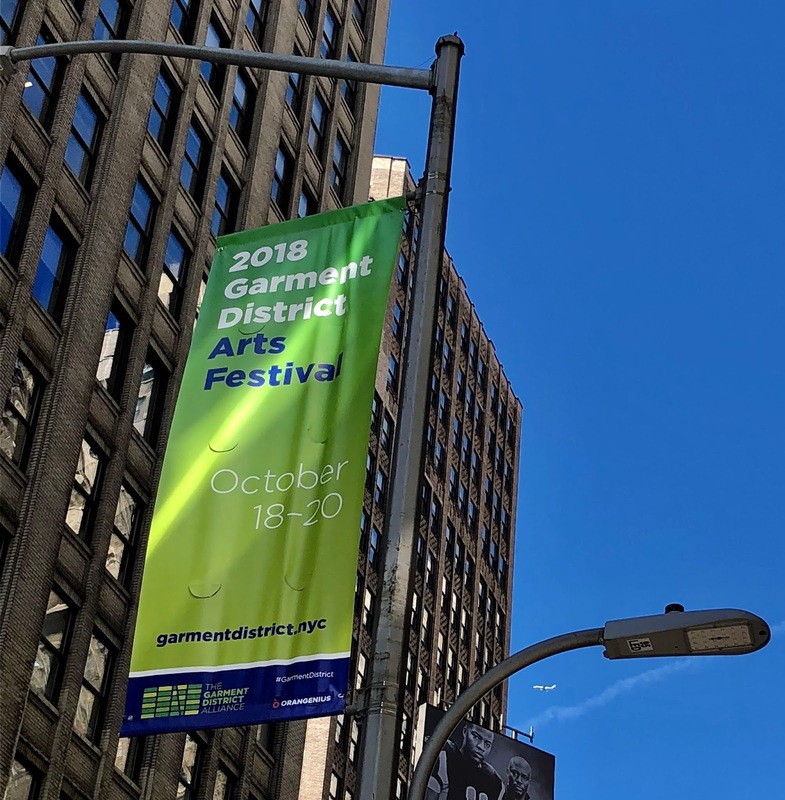 From October 18-20, the Festival celebrates art in the Garment District with gallery exhibitions, open studios, receptions, art experiences and public installations. 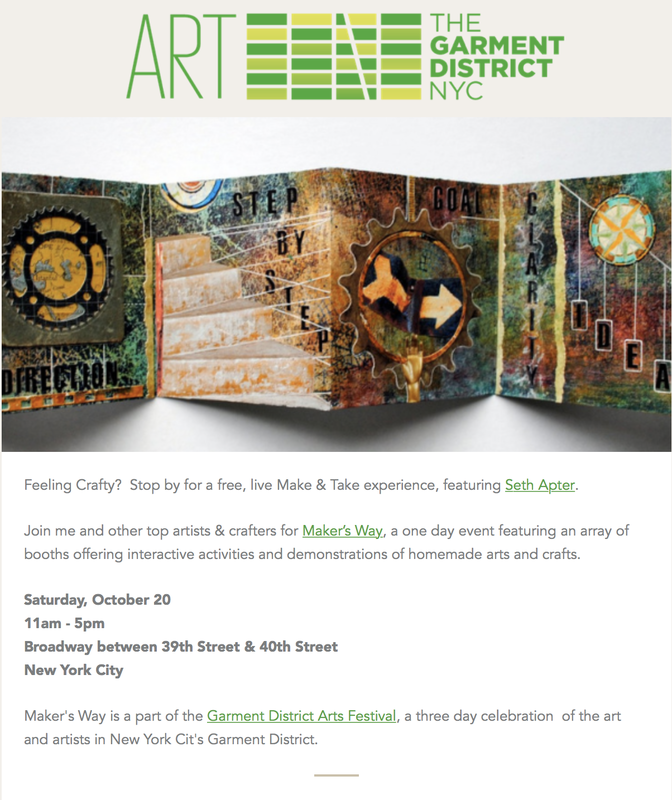 I am one of twelve artists who are part of Makers Way - a free, interactive art experience taking place on Saturday October 20 outside on Broadway between 39th and 40th Streets in Manhattan. Between the hours of 11am and 5pm I will be doing make and takes using the Gelli Plate. See the entire program here. 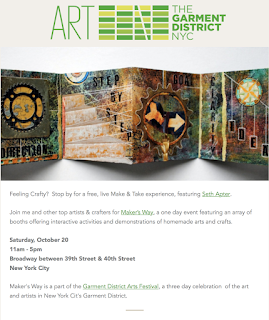 Hope everybody near NYC will stop by for the fun. Wonderful! Those lucky New Yorkers! I hope it's a fantastic weekend! A big wave from the west coast-wish I could be there.